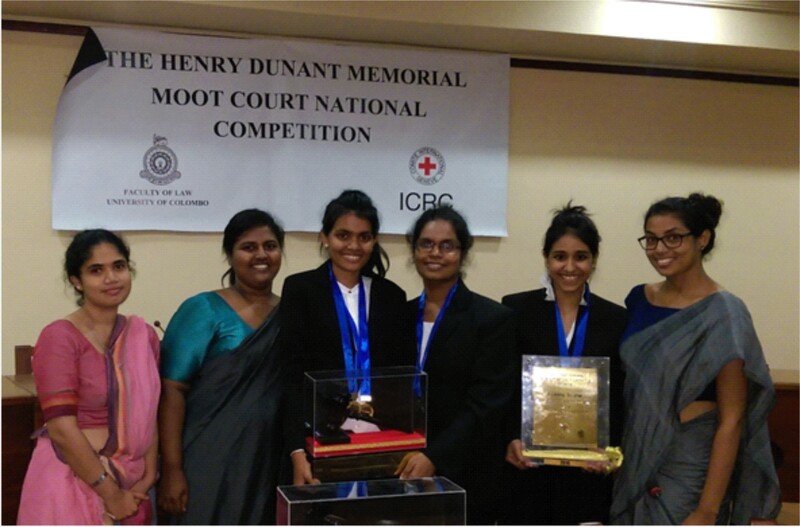 The mooting team of the Department of Law emerged the champions at the Henry Dunant Memorial Moot Court National Competition 2016 organized by the International Committee of the Red Cross (ICRC) and Faculty of Law, University of Colombo, held at the premises of the University of Colombo on the 6th and 7th October 2016. The team not only became the champions of the competition, but also won the award for the best memorial and Ms. Agana Gunawardene won the award for the best advocate. The team; Ms. Agana Gunawardene, Ms. KithminiAviruppola and Ms. Pamoda Jayasundera, would be representing Sri Lanka at the South Asian Regional rounds which would be held in India. Dr. Samantha Nanayakkara, a lecturer in the Department of Education, Faculty of Arts, has been appointed as a member of the National Sports Council of Sri Lanka by the Hon. Minister of Sports recently. The National Sports Council of Sri Lanka mandates under the terms of the section 4 (2) of the Sports Law No 25 of 1973 (amended) and regulations. The National Sports Council will advise the Minister on matters pertaining to development of sports for a period of three years (2016/2019).